In this modern world of ours, we often forget some of life's simpler pleasures, such as sitting down to a piano and just playing our troubles away. Children encounter similar pressures, but in their minds, there’s always something better to do than play the piano. And for most of them, a piano is just a piano – that’s it. Trying to get a child to practice the piano is probably an argument that many parents have with their children day-in, day-out, but the more you push, the bigger the chore it will become. In our latest blog, we’ve highlighted some of the ways in which you can encourage and inspire your child to enjoy this beautiful pleasure. 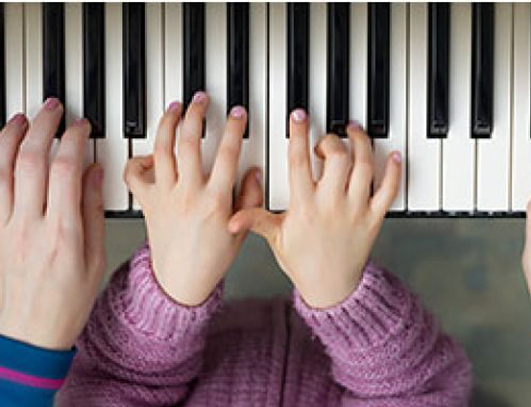 Finding the right piano teacher is critical. Your child must be able to connect with their teacher. You could choose the most qualified and most expensive teacher in the UK, but if the chemistry isn’t right, the lines of communication collapse and the whole process falls apart. Listen to your child when they speak about lessons – you’ll be able to tell quite quickly if the relationship between teacher and student is not gelling as well as it needs to. It is natural for a child to gripe about things, particularly after a frustrating or difficult lesson, but these small aggravations are a part of life in general, and it’s how they learn to bounce back from it which will help them in their musical journey. It is the comments about the teacher as a person which give you the biggest clue as to how their relationship is progressing, and neither the teacher or your child will benefit from lessons they don't enjoy. Once you’ve settled on the teacher, home practice is the next phase to perfect. In the beginning, keep lessons relatively short. After a long day at school, the very last thing your child wants to be doing is sitting at a piano for an hour. 10 to 15-minute sessions, perhaps once in the morning and once at night is preferable to one long session in the evening. In order to master any skill, it’s important to flex that particular muscle on a daily basis. Without adequate practice, the lightning escapes from the bottle, and your child must then start to piece their skills back together, which could be a very frustrating and lengthy process. Explain to them that even the most accomplished pianists must practice daily to keep their skills razor sharp. As a parent, you want the best for your child, and of course, this means celebrating their achievements. Kids need praise and encouragement, but it's incredibly important to keep your expectations in check. Naturally, you want them to excel and do well, but you must be sure that your wish for them to succeed isn't creating an added pressure they feel they must adhere to. No instrument sounds particularly appealing if picked up by someone who doesn’t know how to play it, and the same applies here. Your child won't sound very good at the beginning, but that's totally fine – no one is expecting them to belt out Beethoven’s 5th after just a couple of weeks, but it’s important to be patient and impart that onto your child as they learn. Empower your child to learn in a way, and at a pace, that suits them, celebrate each step with them, even if it’s only a small one and let them explore the kind of music they like to play. We are all different, and it’s during our formative years that we begin to understand what works for us in the way we learn. Creating a regular schedule is very important, but takes time, and many find that offering little rewards and treats helps to reinforce the practice timetable. These treats can be anything your child responds to, such as extra game console time, or staying out with their friends a little longer. 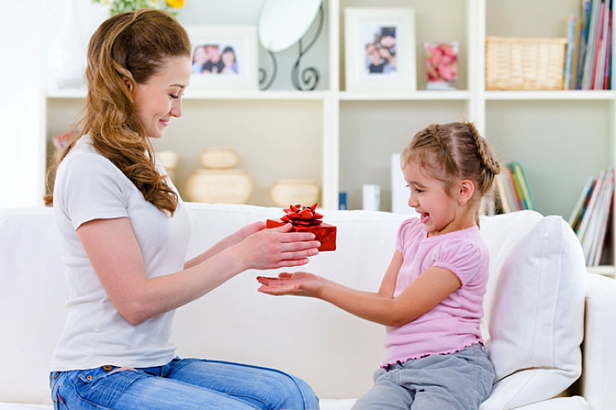 A popular form of motivation is to collect points for milestones – these can be tracked using a progress chart – and then cashed in in return for an activity of your son or daughters choosing. The younger your child is, the more important these little treats and activities are. On the flip side of this, however, is ensuring you don’t reinforce any negative attitudes towards practice. 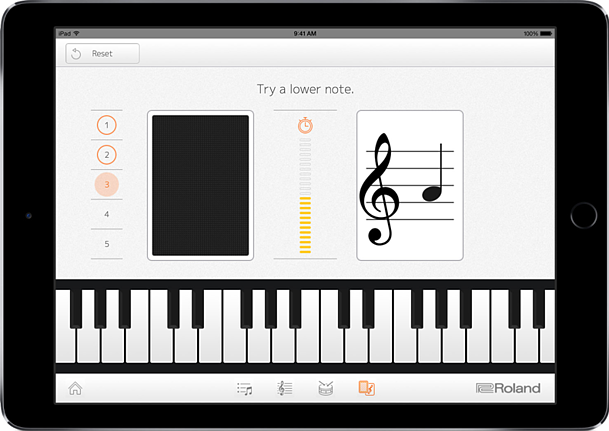 Offering rewards for piano time can, if done without structure, turn the piano into something of a chore to be avoided. This is why it’s so important for them to associate treats and rewards with progress. As we grow older our idea of fun changes. As adults, we don't generally tend to build forts out of cushions or play tag on our lunch breaks, but we begin to consider things that help us to relax as a fun activity, and the piano is just one of those things. Kids are different, the need for stimulation is almost never-ending. Incorporating more interactive ways of learning, such as tablets and smartphones, helps to keep them engaged whilst grasping a new skill. Most kids are proficient with this kind of technology, and it’s something they enjoy doing. This kind of positive association then bleeds over into the experience. When your child first takes up the piano, their motivation will be through the roof. Everything is new and exciting, and it's relatively easy to learn something quite basic in a short space of time. But, the challenge comes when things move to the next level. Progress means the pieces become more complex, which creates frustration and the desire to quit there and then – which in fact, many people do. 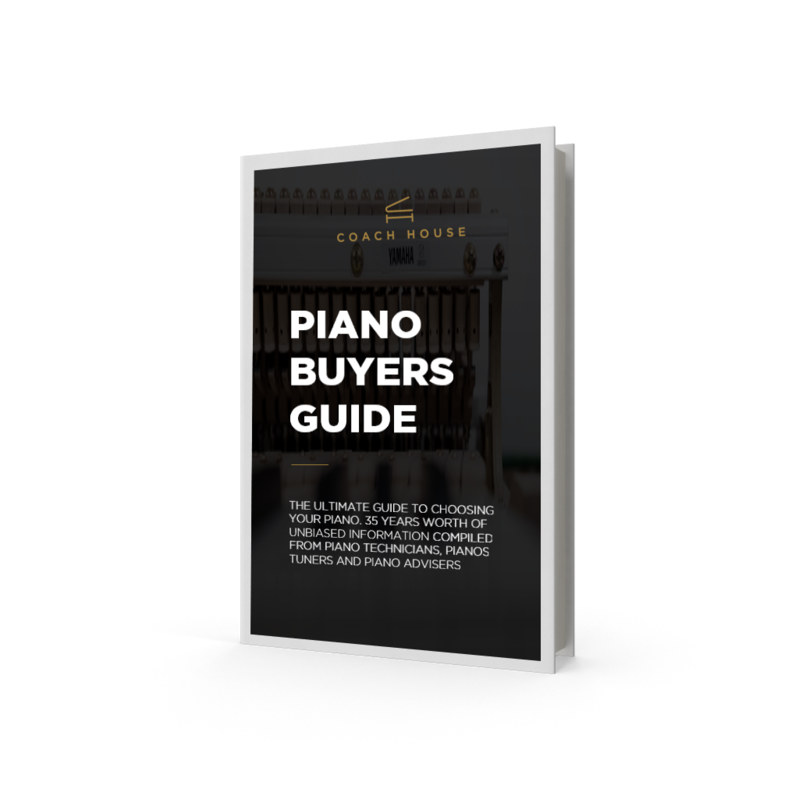 We see first-hand, on a daily basis the results that consistent and diligent practice brings, and we hear from many people who regret their decision to give up the piano altogether and find it much more challenging to learn in adulthood. No single formula will herald magic results, so it's important to try a few different things and settle on something that works for parent, child and teacher. We stock a vast range of pianos, so why not give us a call or pop into our Swansea showroom, where one of our expert staff can offer advice and support. Oh and by the way, the oldest customer we have ever had taking piano lessons for the first time is 91 years of age!